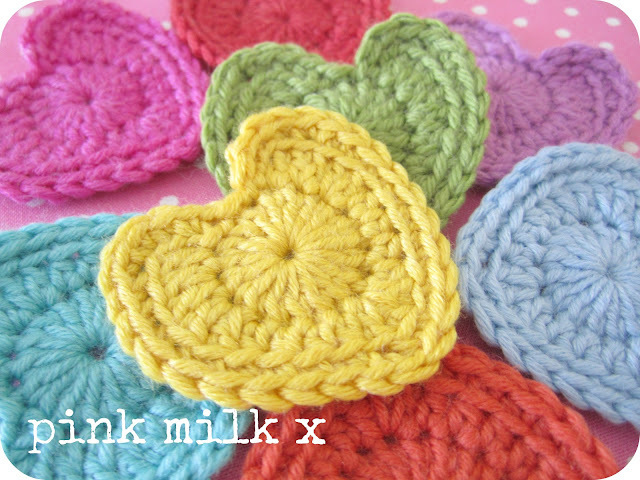 I found the loveliest 'perfect crochet heart' pattern and thought I'd share it with you. I sat and hooked these in one evening using some of my brightest yarns. They're now strung across the mirror in my bedroom. As long as nothing falls down in the middle of the night and strangles him, D's a very crochet-garland-tolerant husband! January 2014. 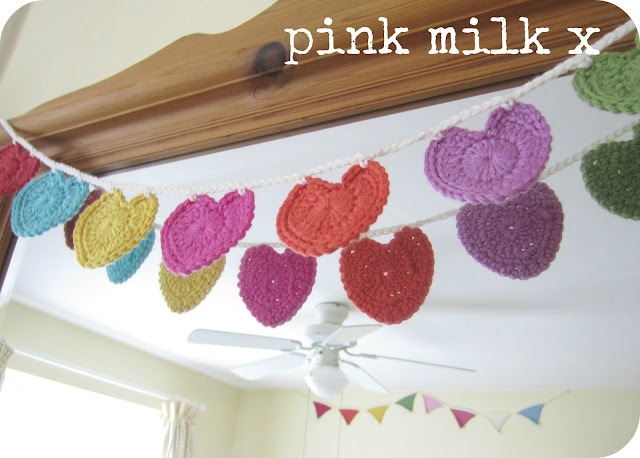 When I originally published this blog post, the Perfect Crochet Hearts pattern was free. The lady who designed the pattern has now put a cost on it of 99p, such was the interest I suppose, and it can be purchased from here or here. Sorry for any disappointment. Thanks for the link, will deffo give these a go! Oh my Mrs, these are beyond beautiful, this is where I stamp my feet and cry because I can't crochet. what a lovely husband you have! Oh that does look a simple pattern - have bookmarked that for another day. Love them, I really must try to learn to crochet. Those are really lovely! It's raining outside so I might stop wasting time blog hopping (albeit an enjoyable waste!) and have a go! Oooh me likey muchy........gorgeous. Loving your tolerant hubby. Mine is too, hell they HAVE to be don't they?! Mine has tolerated my Bon Jovi obsession for 16 years......it doesn't get much worse than that. Pretty bunting. We have lots here too, makes it all prettier me thinks. Love your hearts Heather.Your colours are so pretty and it's a super pattern, thanks for the link. Oooh, they are lovely! I have Lucy (Attic24)'s teenie tiny hearts and Easter Blossom (tiny flowers) on my Easter tree. Oooooh love the gorgeous little hearts you've made, the shapes are so perfect and your colours are really beautiful! Thanks for the link! Just gorgeous Heather! I want to make some now!!!! The colours are lovely and they are so neat! Funnily enough I have just picked up a crochet project this morning, this will spur me on to finish so I can make some of these - thanks for sharing the pattern too. I love your hearts and I am addicted to crochet right now! I've been making a basket (to hold all my yarn! LOL!) 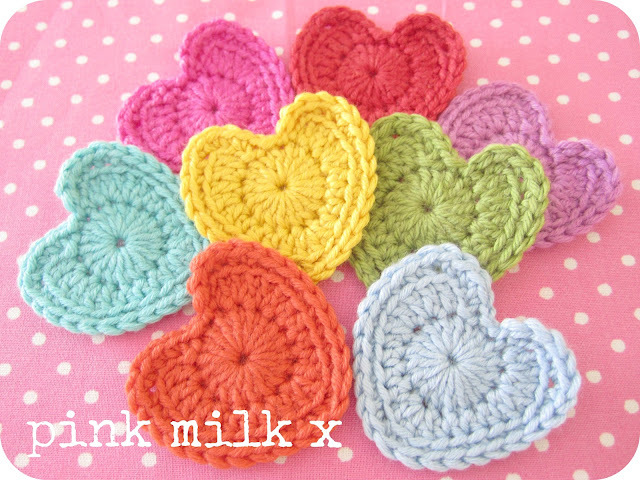 and a throw but it would be lovely to make a smaller project and these little hearts would be perfect. I don't have a garland in my home and I think I need several! Thanks for sharing! Just glorious, I have always been drawn to bright colours, and your colour combination is so endearing. Guess what I will be trying later? Thank you for sharing. What perfect little shapes these are, Heather, I must have a go. I chuckled to think of your Dearly Beloved waking up to find himself swathed in crochet trim! What it is to have a yarn/textile tolerant man about the house! Mine too! Heather, those hearts are just so satisfying and the colours really cheered me up this evening. Beautiful. 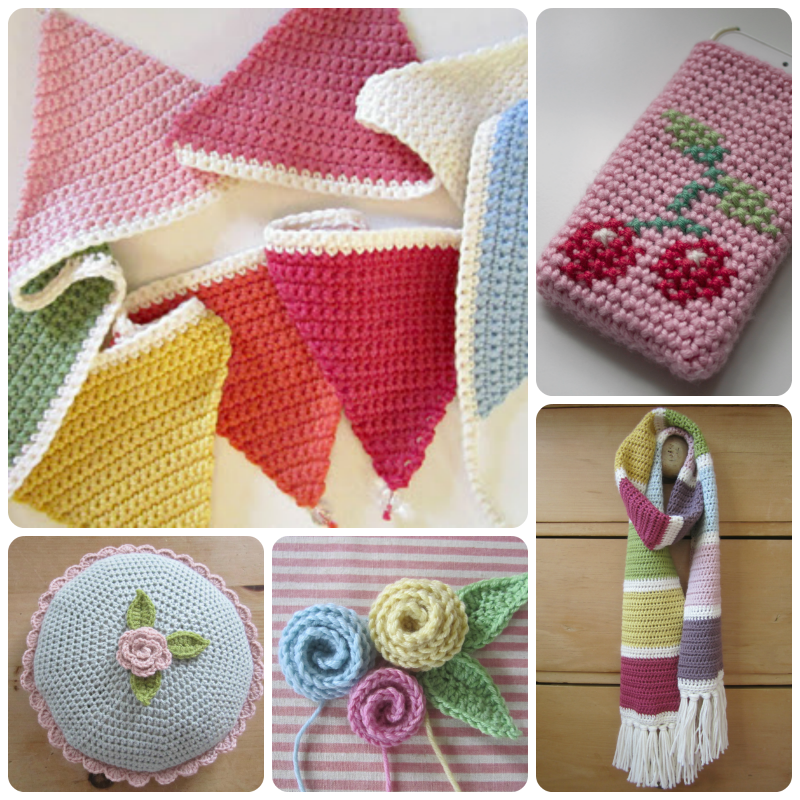 One day, hopefully, I will have the time to learn to crochet as well as that. Oh how beautiful, each little heart is so delicate and perfectly made. Now if I've said this once I must have said it a hundred times about different things, but I really mean it this time ... these are worth perfecting my crochet skills for, if only I had more hours in the day! You're right, they're the perfect hearts as they're symmetrical. Look absolutely lovely hanging together. in Leicestershire too, not too many on Pinterest !! Heather, i really love your hearts!!! where is the pattern? , i cant find it....please!! !